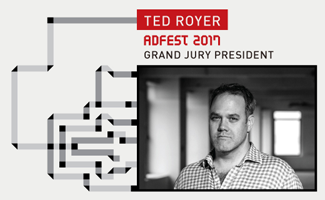 The prestigious title of Grand Jury President of AdFest 2017 falls this year to Ted Royer, Chief Creative Officer at Droga5. He was ranked by Business Insider as #1 out of the 30 most creative people in advertising in 2016. He joined Groga5 in the early days and has won more than 100 creative awards. His talent has been spread across the globe with stints in Singapore, Argentina, Australia and New York. Prior to joining Droga5, Royer sat on the worldwide creative boards of Ogilvy & Mather and Publicis Groupe. Royer said he was sincerely excited to join AdFest in its 20th year. The Festival is celebrating its anniversary on 22nd to 25th March 2017. Jury members will be announced over the coming months. AdFest always attracts top people to join the panels as they love to spend time at this friendly festival of creativity in Thailand. You should join them and the delegates in 2017.